Our company has specialized in the sphere of manufacturing and exporting a wide range of ESD Packaging Material that are an important aspect of static control. 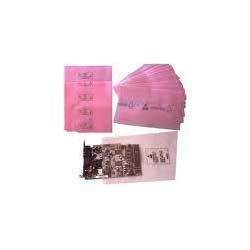 These involves direct contact with sensitive products and prevent static generation and shielding from static charges. We have earned great accolades in the industry by manufacturing a wide range of Antistatic & Conductive Foams that are available in Hard Expanded polyethylene (EPE) and Soft Polyurethane (PU) material. We offer these Foams in thickness of 2mm, 5 mm and any other thickness as per customer's requirement. 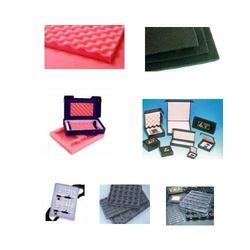 Further, to suit the varied requirements of the clients, we can also offer the customized range of these Antistatic & Conductive Foams. 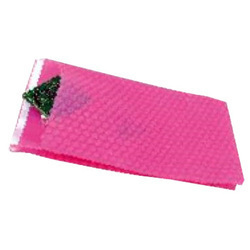 of ELECTRONIC AND TELECOM products to provide CUSHIONING as well as ANTISTATIC PROTECTIONS.. Wide range of density (25 and 35) and colours (white and peach) are available ..
We manufacture a wide range of Antistatic Bags that are low density Polyethylene impregnated with antistatic property and available in roll tubing, cut sheet, bags and zip lock bags. The surface resistivity of these Antistatic Bags is < 10^12 ohms/sq that prevent build-up of static charge and protect components from ESD damages. 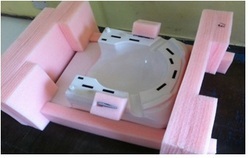 Electrotek is the Largest supplier of ESD/Non ESd EPE FOAM FITMENTS in India.. The Antistatic Properties are our speciality... Surface Resistivity <10^10 ohms / Sq. for at least 2 Years..